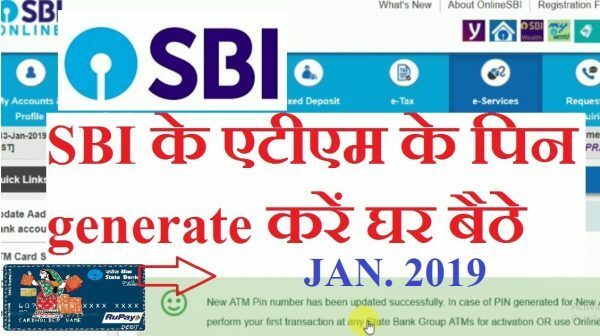 Step by step process to change SBI ATM PIN Number online. Step i: Login to OnlineSBI.com site. Step ii: After login click on the E-Services menu. Step iii: Select ATM Card Service option. Step iv: Select ATM PIN Generation option (3rd option). Step v: Select card and click on submit Enter OTP received in SMS. Step vi: Enter any 2 digits as per your choice. Step vii: Enter 2 digits received in sms to complete 4 digit PIN No. Sep viii: That’s it. You can change SBI ATM Pin this way. You can also watch one of the best videos on youtube for a live demo.